The future of Britain’s energy needs is now hanging in the balance, after a “very serious” fault was found in the pressure vessel of the prototype EPR plant in Normandy, France. 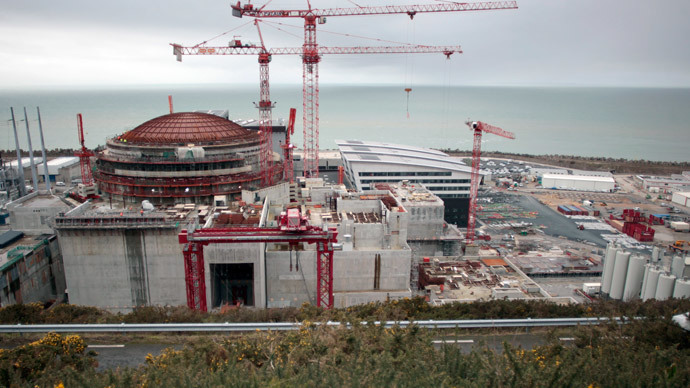 A second investigation is now required into the quality of the steel of the “pressure vessel” or the 50ft-high safety casing, which encloses the new European Pressurized Reactor (EPR) reactor at Flamanville, near Cherbourg in Normandy, The Independent reports. As a result, the future of two new identical reactors at Hinkley Point in Somerset is now in doubt. “It’s a serious fault even a very serious fault, because it involves a crucial part of the nuclear reactor,” said Pierre-Franck Chevet, head of France’s nuclear safety inspectorate. Although a final decision on Hinckley point is expected in June, the fault in the brand new French design could scare off Chinese state investors who are paying for some of the £14-billion project ($20.94 billion). As well as the UK, China, Finland and the US are in the process of investing in the EPR project. The EPR is meant to be one of the safest reactors in the world, and the most energy efficient, but has suffered a number of delays and cost overruns. The fault was first revealed by France’s nuclear watchdog ASN last week. Mr Chevet said on Friday that the steel for the safety casings of six EPR reactors had not been made correctly. The steel at the top and bottom of the safety casings contains too much carbon and as such there is a chance they could rupture. The casings were made as long ago as 2007-2008 and though it would be possible to replace them, it would be very expensive and take a long time. “If the weakness of the steel is proved, I don’t hold out much hope for the survival of the EPR project,” a former senior nuclear safety official told Le Parisien. The decision to build two new nuclear reactors at Hinkley Point was made by the previous Labour government in 2008, and in principle work is due to commence in 2017. Hinkley is envisioned to generate 16 percent of the UK’s electricity. The crisis at the Flamenville reactor is also a serious problem for France, which generates 80 percent of its energy from nuclear power and hasn’t built any nuclear power stations for more than 15 years. “It is more than 15 years since the last nuclear power stations were constructed in France. The expertise in some trades has not been sufficiently passed on from one generation to the next,” said Mr Chevet. "The results of more precise tests are expected in October. In the meantime, the work on Flamanville continues."